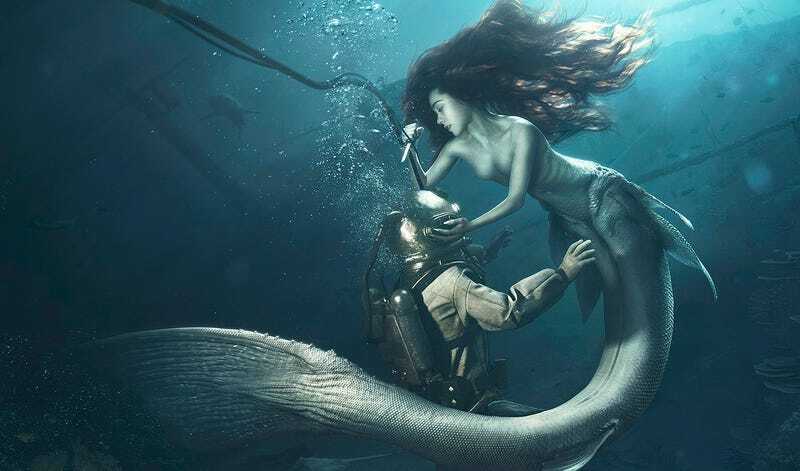 The guys at Lightfarm Studios tell the classic impossible love story between a mermaid and a human in this impressive 3D composition. Everything but the model—the corals, the diver, the tail of the mermaid, the shipwreck—is made in 3D. I could spend hours watching these guys work. NSFW-ish. You can get a wallpaper version of this image here. These people always make incredibly good work.